Le prix et la disponibilité du produit sont corrects en date du 2019-04-22 04:14:07 UTC et sont sujets à changements. Toute informaiton relative au prix ou à la disponibilité affichés pour http://www.amazon.fr/ au moment de la commande sera d'application lors de l'achat de ce produit. Continue the epic journey as it unfolds in Star Wars: The Last Jedi! The larger than life characters from Episode 8 of the Star Wars saga have been reimagined as Pop! Vinyl Figures with bobbling heads. 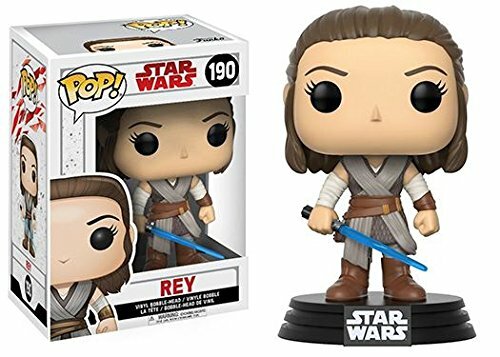 Measuring approximately 3 3/4-inches tall, this Star Wars: The Last Jedi Rey and Luke Skywalker Pop! Vinyl Bobble Head stands on a Star Wars base and comes packaged in a window display box. Ages 3 and up. 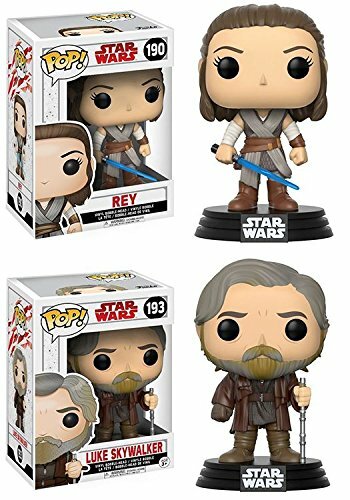 From Star Wars, Rey and Luke Skywalker, as a stylized POP vinyl from Funko! Stylized collectable stands 3 Ÿ inches tall, perfect for any Star Wars fan! 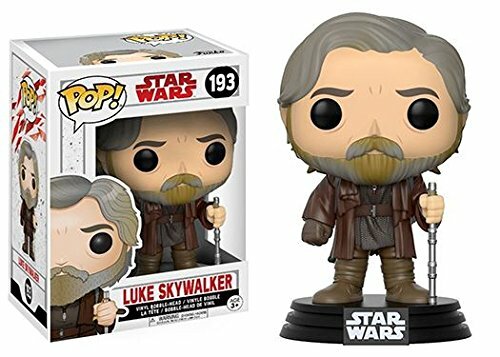 Collect and display all Star Wars POP! Vinyl's!